Ars Bioarctica participated in the project "Weather Tunnel". 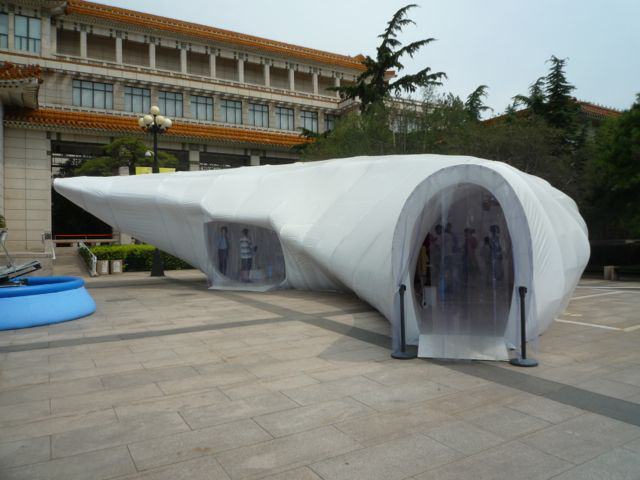 It was a translocal project envisioned as a participatory, interventionist component of the international media art exhibition titled "transLife" which opened in July 2011 at the National Art Museum of China in Beijing. Ars Bioarctica provided real-time climate data from Kilpisjärvi Biological Station via https://pachube.com/feeds/21544 . The installed multi-sensor node is still up and running and provides data for artistic interventions.